The organization chart web part was by default added to a MySite in 2010. 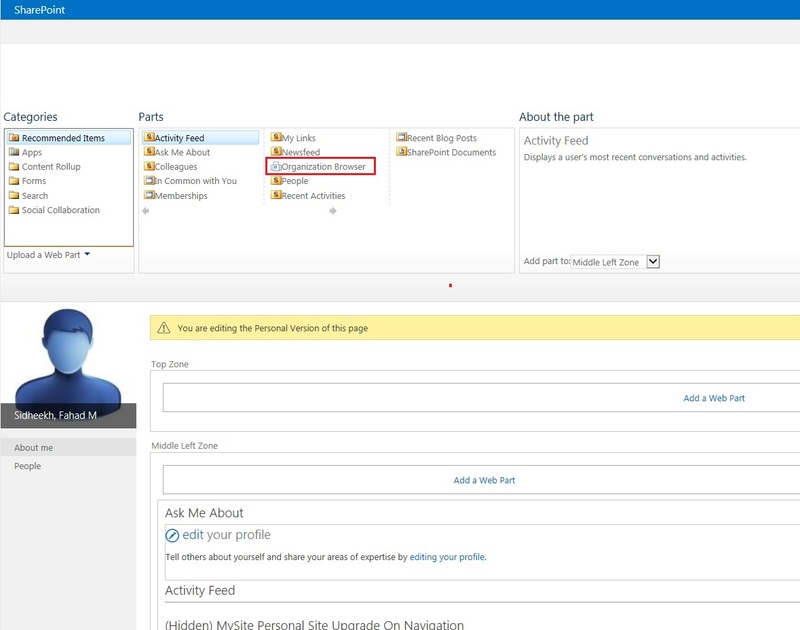 With SharePoint 2013, this web part is not added to the site, by default. 2. Click on your name on the top right hand side of the page. Personalize this Page. 3. Click Add a Web Part -> Recommended Items -> Organization Browser. Add the web part.